Facebook's Time Tunnel application was considered unusable for some of us. She realizes that she is going through various changes in the Facebook Time Tunnel. According to reports that are still in test phase and confirmed by Facebook, the Time Tunnel will continue to run on the two trails, but the column on the left will be completely stationary. 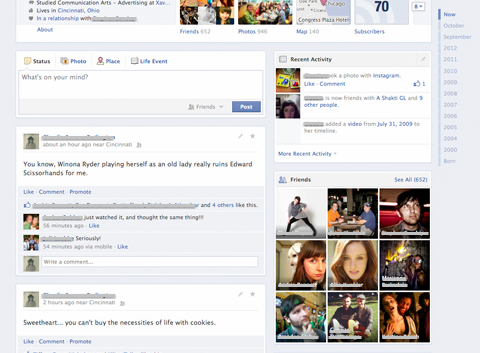 The column on the right will flow back to the former as in old Facebook. The date buttons on the top right will not change. Practices used like the old one in the right-hand column will look smaller and the field of view of the sender will expand.